Organizers of a Vancouver conference set for March 22 – 24 are hoping it will do something significant about reconciling secularism, religion and the common good. The gathering, dubbed Our Whole Society will take place at the downtown Vancouver campus of UBC, at Robson Square. Karen Hamilton, chair of the conference steering committee and general secretary of the Canadian Council of Churches. Aileen Van Ginkel, a steering committee member and a vice president of the Evangelical Fellowship of Canada. John Stackhouse, a conference keynoter and long-time Regent College professor, soon to take up a new post at Crandall University in Moncton, New Brunswick. Karen Hamilton noted that all three words in the event’s title ‘Our Whole Society’ are important. She pointed out that recent surveys on Canadian attitudes toward faith and religion show that when those who are ‘spiritual but not religious’ are added to those who identify themselves as followers of particular faiths, the preponderance of Canadian society could be seen as rooted in faith or spirituality. 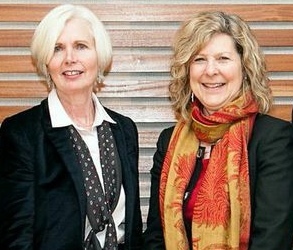 Aileen Van Ginkel (left), a vice president of the Evangelical Fellowship of Canada, and Karen Hamilton, general secretary of the Canadian Council of Churches, are on the steering committee for the Our Whole Society conference. Hamilton noted that the Vancouver event follows up on Bridging the Secular Divide: Religion and Canadian Public Discourse, held at Montreal’s McGill University two years ago. That event, she said, drew “standing room only” participation. She suggested there is a nuanced difference between the way themes are being explored in Vancouver and how they were at McGill. Those nuances relate to McGill’s emphasis on helping people and groups of faith to interact among themselves. At that time, there was a fear that religion would be sidelined in the public square by the forces of what might be described as secularism or unbelief. Douglas Todd, Vancouver Sun religion/ethics writer, noted, after being a panelist at the McGill event: “If it goes on to receive the support of more people of goodwill, this week’s event could mark the beginning of better things for all Canadians, whether they define themselves as religious or secular or (like most of us) somewhere in between.” Todd will again be a participant in the Vancouver conference. For her part, Aileen Van Ginkel said she sees the genesis of the Vancouver conference as being not just in Montreal, but also in the World Religions Summit that took place just before the G-20 Summit (in Canada) in 2010. It produced a major statement on the Millennium Development Goals on global poverty and related issues. Van Ginkel made clear her view that part of the impact of this conference will be its ability to be not so much a “debate” between people of faith and/or spirituality and those who are “secular” or not believing, but a “conversation.” She agreed that sometimes, in these kinds of settings, the media can create more of a debate and less of a conversation, by highlighting conflict in its coverage. In any case, she said, it is important that “people of faith are not ‘on the other side of the room’” in order to preserve the idea of a conversation rather than a debate. 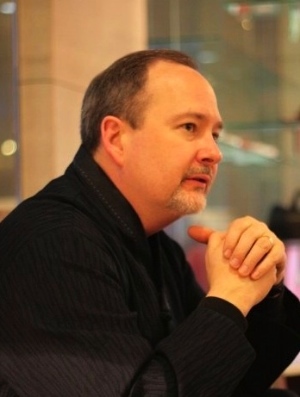 John Stackhouse will be speaking at Our Whole Society. Stackhouse said he was encouraged to see that, in both the McGill and Vancouver events, evangelical Christians have been included in both the planning and participation aspects of the conferences. Such matters as the current controversy over LGBTQ opposition to the establishing of a law school at Trinity Western University are, in the view of all three of the interviewees, potential undercurrents in the conference’s conversations. The inclusion of two Trinity Western professors in the conference’s speaker lineup might provide some hint to the event’s significance for BC’s Christian communities. A society in which people of faith may participate whole-heartedly, where their beliefs are not confiscated at the door to our public forums, would be a much better ‘secular’ society than one which seeks to eliminate all the vestiges of faith. A secular society then is one that promotes our inherent plurality, not one which seeks conformity to some form of irreligion. For the full list of speakers go here. Full information on the conference is available here.